now the necessary for me readers. but to perform their necessary task as well. so I consider this more of a good girlfriend share! 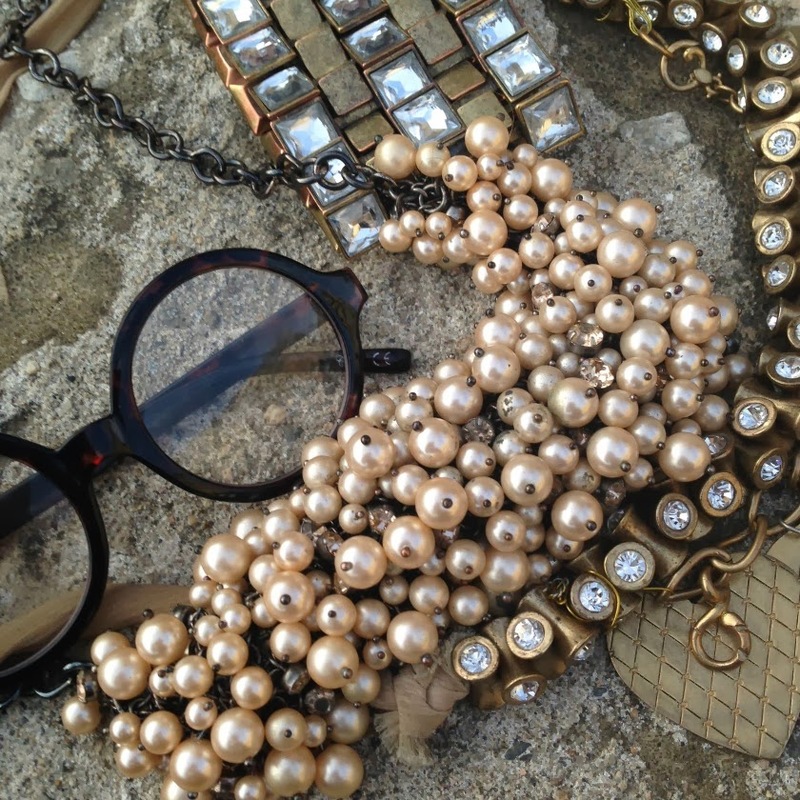 to invest in some new looks to complement any ensemble! The majority of the glasses are under 20 dollars! before investing in the high end statement pieces. I was also so excited to find sunglass readers! just to check my phone! The Architect that I'm wearing above is definitely one of my favorites readers right now! but at the prices offered it was definitely time well spent! they were at my house in just a couple of days! 50 dollar gift card to Readers.com! I've been wearing specs since I was 15, now I need bifocals - weep! Thank you Tabitha my dear! I am also onto progressives myself! But I am actually enjoying wearing glasses … just another way to add in more age appropriate and entertaining accessories … now that I have to wear them … all the more reason to collect! 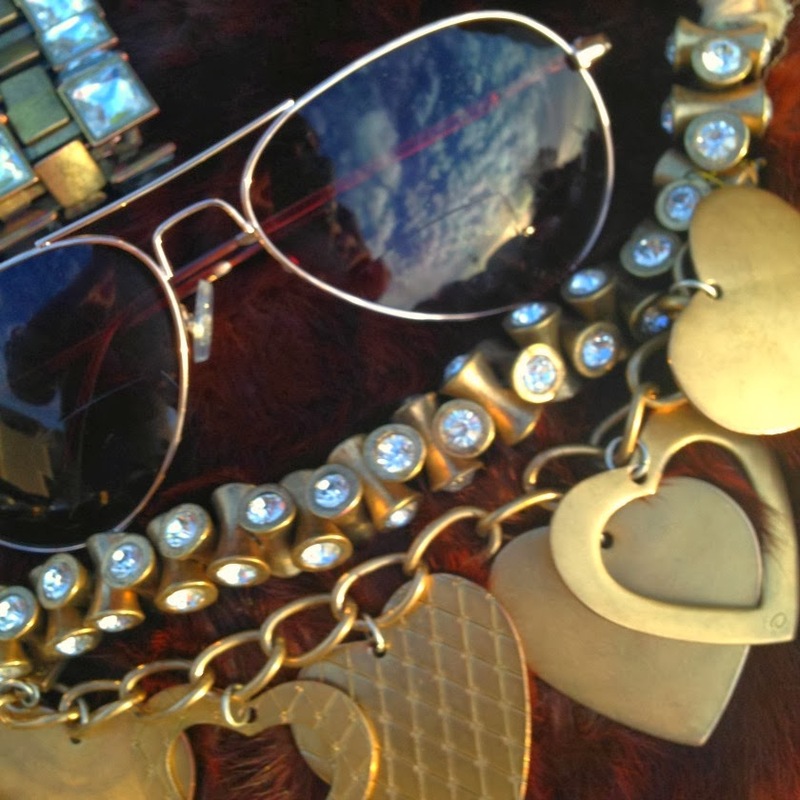 The aviators are a break from your signature sunnies Tamera, and you look fantastic in them. I love your Potter glasses too! I lost count of my collection of sunglasses...I know I have more than ten and counting. Thank you Sue! 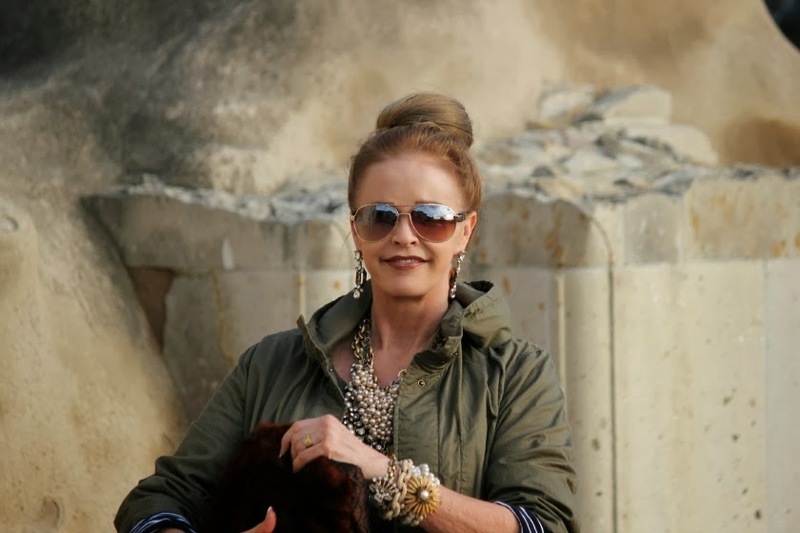 Yes … I have been scouting for a pair of oversized aviators … I love the new punch of style they add! Thank You dear Jennifer! I am right there with you regarding progressives! It took me months to get used to my Tom Ford pair … and I still prefer to read and work on my blog with readers! Wishing you a great week ahead! A women needs more then one pair of glasses. I think I have easily 30 pairs, reading and sun. Tamera love your oversize glasses they remind me of my prada pair. Great post. Thank you my dear! Yes, I too so enjoy collecting glasses, especially now they are a need as well as a want! Marsha I am so happy to hear you already know the fun and function of this site! I didn't even know you could get readers in a sun glass form before I found Readers.com! I have had so much fun trying out new styles! Thank you so much for visiting my dear … it is always such a pleasure to hear from you! Wonderful photos and gorgeous look. I love your pants. Thank you very much Josep-Maria! Your aviators are great. I love this classic wardrobe staple. And WOW to the fabulous jewelry. I especially admire the pearl 3-strand bracelet with the floral detail. Heavenly. I always marvel at your accessories, Tamera...love everything here and the great jacket!! I would love to win this giveaway! Your aviators are so gorgeous on you and I love your outfit. Fabulous location for your photo shoot! The juxtaposition of sequins against the SJCMission is editorial. Always in appreciation of your tips bringing fashion to function, nicely done, Tamera! My motto: A hat and sunglasses.. all else is negotiable! Love the aviators on you! And thank you for introducing us to Readers.com. I am always looking for a great pair of readers! Now, I know where you are from another comment!The BACKDROP is STUNNING! I cannot use readers……….but will definitely keep it in mind when the time comes! Are any of your braclets for sale????!!!! I love it Tamera. I love the way you juxtapose sequins with army green and casual with formal and ALWAYS with a touch of glamour. You always surprise me. I want to be like you but fail miserably. Happy Day and week. Just as I expected, another wonderful, beautiful, and inspiring post. That background is beyond awesome and those pants, wow! Yes, you are the queen of accessories, nobody does it quite like you. You look fabulous in those aviators but I tend to think you look fabulous in any type of glasses. You look fab. Why not see fab too. Stop wearing glasses to heal your eyes the natural way with the Bates Method. Free, on-line proven eyesight improvement by training your eye muscles to relax and focus. There's nothing to buy. Wearing glasses will result in stronger and stronger prescriptions over time and deterioration of your eyesight. Your eye doctor will not approve because it works and goes against everything doctors are taught to do. I love all the choices & the glasses look great on you. It is very kind to have a giveaway & I am glad I found your blog. Cute selection! I, too, love having a variety of readers to choose from. You look fabulous! I love the textures and these pictures are captivating. Cool shape on the glasses and the pants are spectacular! I need progressives now and have yet to buy sunnies with my prescription....I am saving up for them as they cost the earth! Fabulous look! I have readers in every room and carry them with me also. Can't see without them. You do look fabulous! Glasses are my accessory of choice, for a slightly different reason - I am embarrassed to say. I am 67 and there are times when I don't fell like "making up." I wear bifocals and I have about 13 pairs of great bifocal sunglasses. This alternative will definitely be more affordable than a bifocal. I love the site. Thank you Tamera. Hello gorgeous girl! I just love these peeps on you. I saw the image with the Tom Ford and #swoon. I've been crushing on a particular pair for awhile now. Great selections here and what a fantastic giveaway. 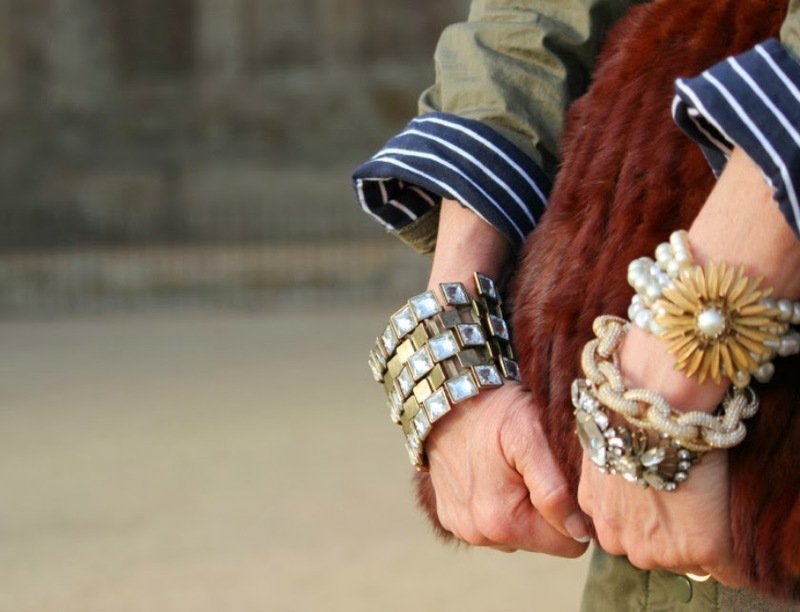 I love how you approach your accessories-with such intention. Lovely! Most importantly, you look wonderful and your jewelry is as fabulous as usual. Then ... the readers/sunnies are a great idea. I'm looking at those infrared "sunnies' that you wear at night to help with headlight glare. The huz is beginning to need them! The aviators are FAB!! But moreover where are those GORGEOUS pants from?!?! Aren't you fabulous! Amazing style! So happy to have discovered your blog! Just finding your blog and it's fantastic! Love it and the giveaway! OMG the pants!! So crazy and fun! Love them all and love your look. Way to step outside the box - it's so refreshing! I'm always looking for cool readers -- thanks! I have tons of reading glasses around the house, but none I really care to wear in public. I just checked the site and was impressed by the huge selection of attractive frames, along with the inexpensive prices.